TLU Strength Session Design is the original strength session design developed for our athletes at the Mountain Tactical Institute, and is perhaps our most effective design for athletes which have “hybrid” fitness demands for their work or sport – i.e. strength, work capacity, endurance, agility, etc. 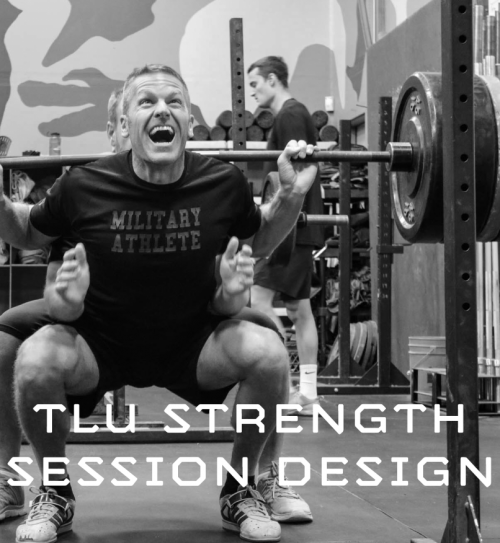 and is the first strength session design we teach our out in-person programming courses and seminars. Train one total body, lower body and upper body strength exercise. This is where “TLU” in the name for this design. Train one exercise at “heavy” intensity, one at “moderate” intensity and one at “light” intensity. Use total exercise volume to dictate intensity. With your purchase, you get online access to the course and it’s updates as long as MTI exists!